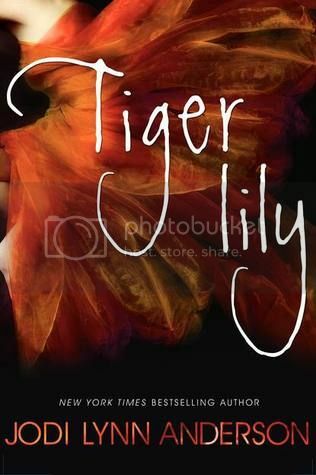 Tiger Lily is a book that I’ve wanted to read for a while now, as I’ve heard nothing but good things and I’ve been super curious about the book. I was super excited when the book was picked for The Sisterhood of the Traveling Book Club read for August. I couldn’t wait to dive into the story. I had just recently read Anderson’s The Vanishing Season, so I was really looking forward to starting this book and seeing what all the fuss was about. I really enjoyed reading this book. Most of the characters in the story are ones we’ve meet before; Peter Pan, The Lost Boys, Hook, Smee and even Tinker Bell. The story is actually told from Tinker Bell’s point of view. But the character that really stole the story would be the main character, Tiger Lily. Wow, she reminded me of a buffed-up Katniss, in a way. She was an outcast in more ways than one, and it was unfortunate that most of the people in her village avoided her. I couldn’t help but feel bad for her throughout the story, I just wanted to grab her and give her a great big hug. (Not that she would appreciate that at all.) But we get to watch her grow from a person that doesn’t really know how to care or show feeling, to a person that learns what love is. It was interesting to read her story. Peter was a bit different than the ‘Disney version’ of Peter Pan that I have known for so long. He loved to have fun, was at times selfish and conceited, and was also a bit broken. He cared for the Lost Boys like they were family, and did whatever he had to do to keep them safe, even at times doing things that were very unpleasant. With no memories of his life before, all he had ever known was Neverland. But he longed for so much more. It seemed that there were so many different sides to this Peter, and it was interesting to read all the differences to what I was used to. Some of the secondary characters were really great as well. I LOVED Tinker Bell, what a great character. The only thing that annoyed me was that NO ONE paid attention to her, when they really should have. Another interesting character was Pine Sap, who was Tiger Lily’s best friend. I do believe that I am half in love with him after reading this novel. The villains in the novel were well written as well; although Hook didn’t seem quite as determined as I expected him to be, and Smee was a bit terrifying. Much like The Vanishing Season, I really enjoyed the writing style for the book. The writing was, at times, almost lyrical, and I really love when that happens. The storyline was highly addictive, and it drove me crazy that I had to keep sitting the book down. I finally finished the last half of the book all in one sitting, and I wasn’t disappointed at all. Overall; I am so glad that I finally got to read this book. It was worth the wait, but I’m kind of kicking myself for not having read it sooner. Oh I've been DYING to read this! I adore everything Peter Pan, and like you enjoyed Once Upon a Time's version of it too. Thankfully, it's the next book I'm reading! XD I really enjoyed your review.